Are you Aspiring Fashion Designer? Shoe & Footwear Designer? Or want to be Accessory Designer? Here is the great opportunity to work with India’s big fashion designer Anita Dongre. Anita Dongre is inviting accessory designers to design bags & shoes for her elegant yet stylish brand ‘AND Designs’. AND, essentially caters to the today’s woman of substance who seeks stylish and fashionable designs for herself. Anita Dongre’s designs have graced the country’s most elite and celebrated personalities from all walks of life from runways and awards shows to premieres and movies. 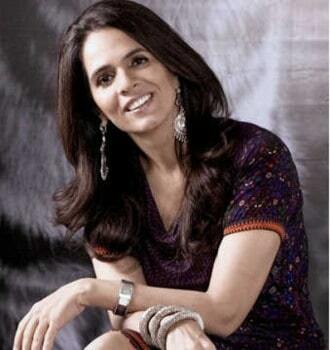 Anita Dongre, is the face behind India’s the power brand, AND. AND, has come to represent high street fashion at a sensible price. It meets the fashion needs of celebrities, teenagers, young mothers, the career woman and the socialite. It is her understanding of the uniqueness of each woman’s own beauty, grace, body and the pulse of a woman’s desires, ambitions, dreams and sensuality that inspired her to create her fashion house And Designs India Ltd, which ensures that every Indian woman finds her complimentary fashion statement. The winning designer will receive an opportunity to work with the internationally acclaimed designer Anita Dongre & her brand, AND Designs India Ltd.
How to Participate in Anita Dongre Accessory Designing Competition? So if you are Aspiring Fashion Designer? Or want to be Accessory Designer? Don’t loose this golden chance. Our Humble Request: Many Fashion Designing, Shoe Designing and Accessory Designing students seek such golden chance. This opportunity can change their life forever, so please share this article on Your Facebook, Twitter and wherever you can. So that Fashion Designing students can see it, and participate it. « Geez! KimYe’s (Kanye West) Latest Wardrobe Malfunction! !